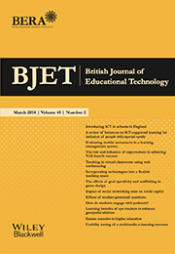 Sugata Mitra vs. Payal Arora Debate in BJET: Given that my article is one of the few works criticizing Mitra’s project, the BJET editors invited us both to comment on each other’s work to start a much needed debate. Interestingly, this debate has been taken up by Donald Clark, using my paper as key evidence on the failure of HiWEL in his blog ‘What is Plan B? Not Plan A’. This conversation continues to be heated to this day especially given that Sugata Mitra recently won the TED award for a million dollars based on this idea. Click here for Donald Clark’s blogpost on this matter. Posted 4 years ago by Payal Arora.